The night was illuminated by the full moon high in the clear starry sky, constellations cluttered to blue-black abbess of its vast expanse. Deep in the forest, Carrow padded along his long pointed ears raised in alertness. All he could hear was the songs of the nightly critters and bugs echoing from the looming trees. Carrow’s steps were light and silent on the underbrush as he naturally avoided twigs and other debris. Narrow, clear golden glowing eyes guided him effortlessly into the unknown territory. Carrow was not sure if he was in the packs territory yet or not; he had been following the scent of the pack for days now and only tonight had he found the edges of their land. He had hoped to run into a patrol or a lone guard by now, but there had been no such luck, the day and sank away without a sign of any other wolf. He had not planned on investigating their scent nor actually finding their territory, but an ach to rid himself of this loneliness pushed him onward. Carrow was not like other wolves, he technically was not even a wolf. His body was smaller, and fur not as thick or coarse. Carrow’s father had been a dog from a man village and his mother had been a wolf, this left Carrow at, what he considered a disadvantage. At a young age, Carrow had been taught that he was different and not wanted by other wolves or even by humans; he had tried to integrate into a village but was chased away. Therefore, he was alone, and had been for a long time. A snapping branch made Carrow stop, one paw raised in a half step he listened intently. Nose twitching, but only the smell of pine trees filled his nostrils. “Hello? Someone there?” he asked into the night air. The whole pack had decided to take turns monitoring the border while Kyra was nursing her pups. For Alexander, it was more of a forced chore to scout the borders near his lake retreat before going off to meet with his mentor Hakan, or his sister Mercury to learn more about Nardir and his own history. It was all still so new and fascinating, but the boy found himself falling deeper and deeper in to the hole that was made for him in a pocket of his brain that he hadn't before known to exist. Tonight was different; he had put off patrolling the borders until after his lesson with Hakan. His mentor had given him a task to do; something the golden prince would have been able to do as he walked around the borders edge. So he walked on, the moonlight cascading through the tops of the trees and shining its pale light on to his back every now and again. There was no one- no sign of traitors, no sign of...well, anyone really, and frankly Alexander wasn't surprised. Who was going to just show up in the middle of the night? Well, aside from him of course. The boy hummed and continued on his way, slowly retreating back in to the pack lands when the scent of another caught his nose. Ears perked, head lifting on alert as he allowed the strange scent to fill his lungs and carry his paws in the direction of the stranger that had found themselves encroaching on his homeland. Golden green eyes began to scout ahead as he followed the lingering trail back in to his own borders, spotting the figure not too far away. The prince inhaled slowly- he'd never really met another at the border before, nor did he really know how to handle this sort of situation? Sure, Mercury and Kyra had explained the basics to him, but now it was his chance to put that in to action. The boy stopped mid stride as he approached from behind, his head lowered but rising slowly as he slowed from a trot to a walk. "Yes, hello." he said, his entire demeanor changing from the usual unsure self in to the prince he was meant to be. He gave the stranger a look over, his body language instantly changing. Something about this newcomer had him suddenly very excited. The newcomer sort of...well, sort of looked like a dog. Alexander's ears perked up instantly, tail wagging. Was this dog looking creature actually a dog? They looked... well they looked like a dog, but not fully a dog. Either way, the golden boy couldn't help but find himself standing there excitedly, his tail wagging behind him. "Hello! Yes, hello! Welcome!" Something tugged at his heart, some faint and distant memory of a home he'd long since left. He didn't know this stranger, but just the sight of him made Alexander smile widely. It took him a moment to recoil back in to his mannerisms, blinking several times before straightening up. "Welcome to Nardir. Please state your business, friend." Kyra and Mercury would be so proud of him. Carrow flinched as the wolf, the big wolf, came padding out from the darkness. The others yellow coat illuminated in the night and Carrow could not help but admire the stranger. He had always been hurt that he had not inherited the wolfs thick coat or their raw powerful body; instead he was stuck in a slender frame his dog father gave him. Watching the new comer Carrows golden eyes watched for any signs of aggression but thankfully the stranger only seemed…well he seemed excited. Very excited. A string of ‘Hellos’ and ‘Welcomes’ were chanted at him, each word gaining notes of happiness. He was a bit confused; to be honest the wolf dog had expected a bit more of a demanding or threatening greeting since he was wandering around on what he guessed was this wolfs territory. Carrow did not question it however. “Err-yes. Hello.” He finally greeted back sounding as polite as he could and bowing his head in greeting. It was not instant but Carrow could notice now that the golden wolf was calming down, his tail had stopped wagging and his face was straightening up in an almost stern stare. It was almost cute the way the wolf was trying to act serious when Carrow knew he was exited. Could this be his first time meeting someone on the boarder? The thought tickled him and a smile dawned his face. They smiled at one another the wolf finally spoke again, this time with a bit more authority. Silence stretched between them while Carrow waited for the wolf to laugh at him or run him off, he would blame him and the wolf would not be the first to do so either. A mixed dog like himself was often ridiculed and chased away. “I had heard Nardir was a place of beauty and that it accepted all.” He finally said filling the air between them. “I want to join.” What he really wanted was a home. It was as if it was all happening at once. Alexander went from having total and complete control of the situation to having this stranger named Carrow asking for acceptance on to Nardir's territory. The golden prince blinked, ears perked as his brain began running through scenarios. Could he...accept him? He was technically royal (a lost prince with no memories) and he was also technically part of the border guard now that the only border guard was on maternity leave. It left Alexander with a strange set of conundrums. On one hand, what was the worst that could happen? Mercury could get mad, sure, but-- they were siblings and Alexander had a pretty solid defense. It was a dog and honestly he reminded me of home...well...my other home. "A pleasure to meet you Carrow," he said with a smile, "My name is Tobi--err, Alexander; prince of Nardir." 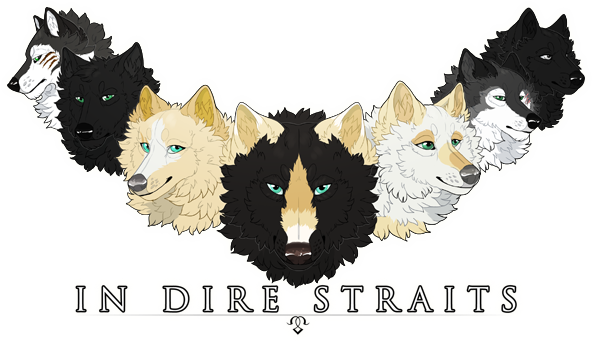 "You are not wrong," he said after a long pause, nodding in agreement with the wolfdog, "Nardir is a welcome place full of all sorts of creatures from bears to dogs." At that, he found his gaze holding Carrow's, a smile tugging at his lips. A dog was a dog was a dog and it was a sense of feeling at home again even though he was home in Nardir. It was a change of pace that had the prince excited. "I believe you would make an excellent addition to Nardir..." Alexander hummed, his mouth opening to finish accepting the wolfdog in to the territory only to have nothing come out. There was a pause as golden green eyes went from extremely confident to suddenly and horrifically remembering that he was sent on a task and that he had only been half assing his job as a border guard, "...but first I will be needing your assistance. To show me...that you truly wish to live amongst our pack." Alexander found him thinking quick on his feet as the sudden repercussions of not getting the herbs Hakan had asked for hit him like a solid wave of water. He couldn't simply leave a stranger at the border, and he couldn't accept a stranger in to Nardir and then leave him to go do his duties as a healing apprentice! The prince gave Carrow a smirk as he looked the wolf dog over. It was the perfect plan, and quite frankly, he was half a second from patting himself on the back for it. If all went well, Carrow would prove to be an exceptional resource to the pack and both Mercury and Kyra would be over the moon at how well he had done for not being a guard. If it didn't go well, well, chalk it up to a learning experience for all parties he supposed. "What do you say, Carrow? A quick adventure before getting you sorted with your own den?" Carrows smiled faltered when the wolf in front of him introduced himself as a prince. As The Prince. Carrow looked at the golden wolf, at Alexander, with a renewed and awed expression. 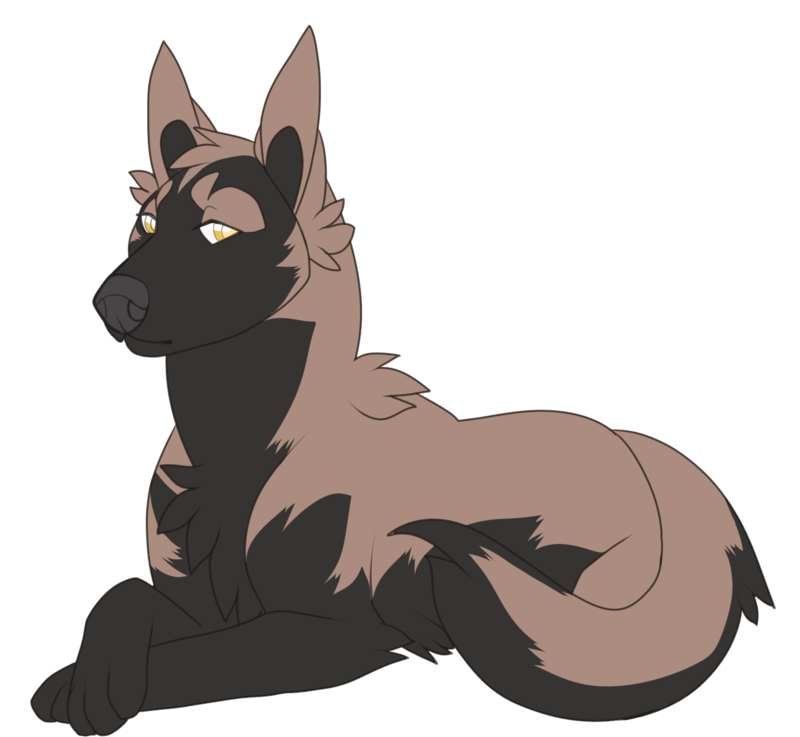 The wolfdog did not know if he was supposed to bow or how to act around royalty, him being a mixed mutt as he was. However if there was any sort of special protocol he was supposed to follow Alexander didnt seem to mind and just continued on. Alexander continued to look at him and Carrow felt like he was being studied. The Princes green eyes looked to him with a fondness that he was not used to and under all his dark fur Carrow was blushing. The feeling was the intense eyes on him was something he wasn’t sure was a good or bad thing, or if what he felt himself was appropriate. As quickly as the moment started it passed at the wolf prince sprang to an animated state, proclaiming that if Carrow wanted to join the pack of Nardir he would have to first complete a task. Carrow should have expected a challenge of some kind; no decent and safe pack would just let anyone into their ranks. However as he also could shake the feeling that this was just a sudden whim. The way the prince had skipped a beat when issuing the challenge… Made Carrow smile again. The wolf dog stood and wagged his tail, a nasty dog like habit in his mind, and walked to Alexander. “Whatever it is I’ll do my best, for you, Prince.” And for Nardir, he wanted to add but his mouth wouldn’t move anymore. He was standing close to the golden boy and waited on his directions. Carrow would listen intently his long ears erect at attention as he took this adventure very seriously. He did not want to fail and be an outcast once again. The golden boy couldn't help but feel a chill run up his spine as Carrow addressed him; no one had really ever called him prince before. Usually it was Alexander or, in the case of Kyra, Tobie. He'd never experienced such formalities before, but he couldn't help but give a tiny awkward smile in response, his head tilting as he tried to process what was said. "You, you can just call me Alexander. Or Tobie. Either is fine," he managed to blurt out with a dumbfounded smile. Alexander turned on a heel as he led Carrow in to Nardir. "So uh, tell me," he began after a long pause of silence in their walk, "what brought you to Nardir, Carrow?" Golden green eyes were scanning the grounds ahead of them as he walked, the question asked without a facial direction. The boy was on a mission and he now had help- it was, if nothing else, going to be very helpful. It would also make his life easier once he'd tell Carrow what exactly they were on a mission for. The moon shone over the pair as they walked through the forest and in to an open field- the sky clear and littered with stars. Alexander paused, looking up at the sky in minor contemplation before returning his gaze now to Carrow. 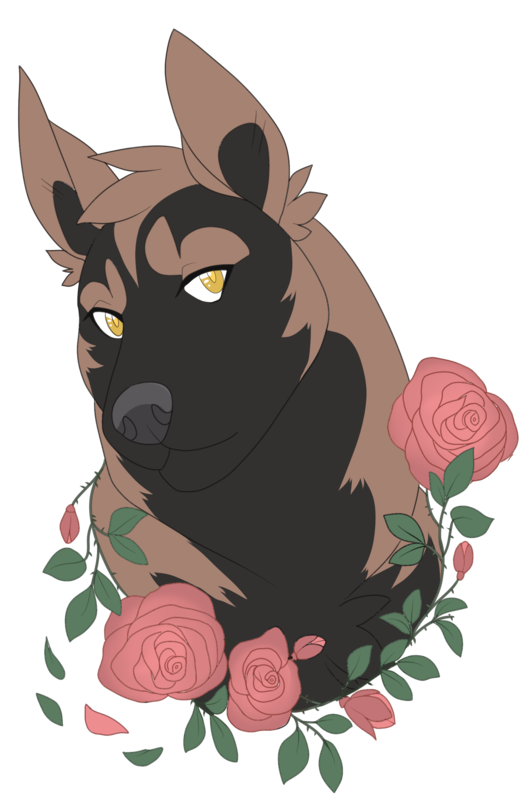 "We're going to be looking for some herbs for one of our pack members," came the low voice of the prince as he once more tried to act like he was in any state of authority, "she's recently had two children, both of whom are in need of some medical care as well as their mother." 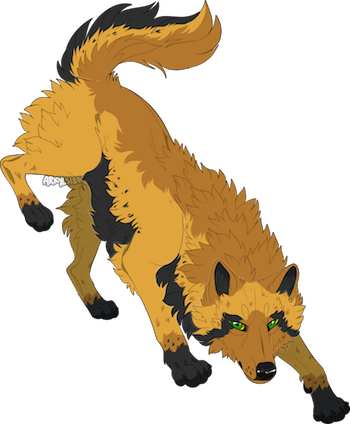 The serious tone in his voice wavered as he turned his gaze from the wolfdog to the field in front of them. "I was uh, sent by the head healer to seek and search for fenugreek and holy basil. They're supposed to be easy to find near the border, but I hadn't seen any on my walk earlier... I was, uh, I was hoping maybe they'd be just a little inside the border. They should be easy to find," he mused, eyes scouting over the grass, "they have a very particular look and smell about them which should make it easy for us to find them...wherever they are." He gave a little grumble and took a step forward before turning back and looking at his new companion, and possible pack mate. "I think he said the fenugreek would be somewhere out in the open-- this might be a good spot to start looking. You take that half of the field," he said, pointing with his nose to the opposite side, "and I'll search over here. They should look like, uhm, clover but not exactly clover." "What brought you to Nardir, Carrow?" Alexander had turned on his heels, dirt meshing into his paws as he led the way deeper into the forest. Carrow watched for a few seconds as the wolfs golden pelt dimmed in the distance. Taking a deep breath the wolfdog followed on padding in the larger canines footsteps. He crossed the threshold of the Nardir territory with a sigh of relief. The question was asked with a simple curiosity. Not a prying or melisious intent and Carrow wondered if he should really answer. After a moment hesitation as Alexander looked from side to side, as they walked he decided there was no harm. Anyway, it wouldn’t do to start off his new life with lies. “I-well, I do not really fit in.” Carrows head now moved around, looking on the ground as the Princes was, mirroring him automatically. 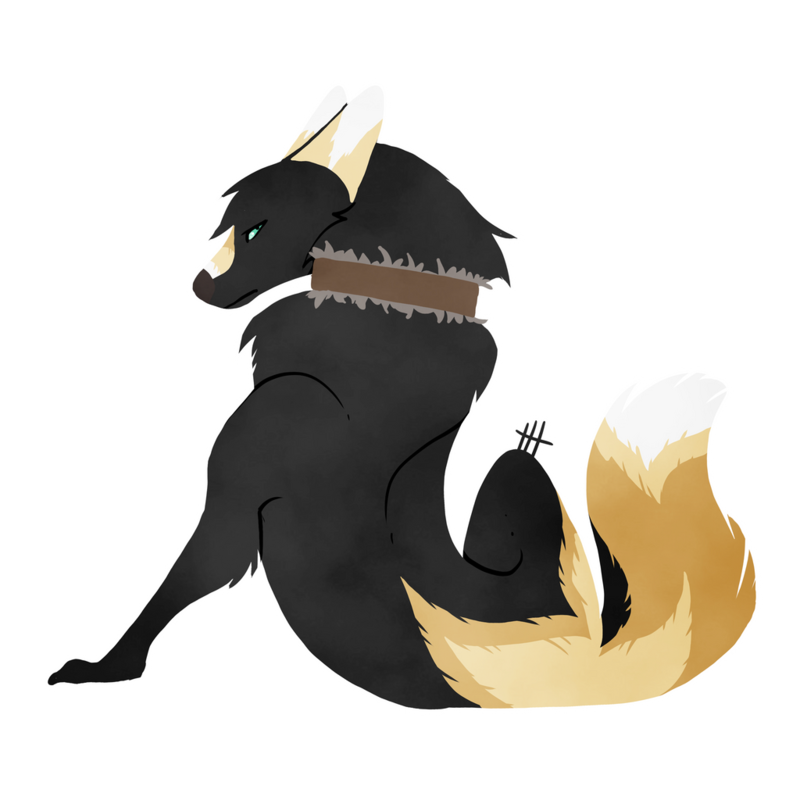 “Im, a..ah.” hesitating for a moment, ears going down, “My father was a dog.” He finally spat out the words with hate, not being able to bring himself to say the word Wolfdog or mutt. The reality that he was cursed with this fate was already bad enough; he didn’t want to name it. “That has made it hard for me to find a place to fit in.” The prince had stopped and Carrow paused behind him, “I heard rumors that Nardir was place where you were accepted....” whispering now, “No matter who you are.” Or in his case, ‘what’ he was. If the wolf heard him or was judging him in any way, he didn’t show it. Carrow was grateful that Alexander was smiling and not just staring at him as others had. Instead of questioning him, the Prince started to explain why they were here and what his challenge was. Carrow snickered a tad as Alexander explained that he was tasked with finding these certain healing herbs when the wolf had stumbled over him; Carrows challenge was now to help him. "I think he said the fenugreek would be somewhere out in the open-- this might be a good spot to start looking. You take that half of the field,"
"and I'll search over here. They should look like, uhm, clover but not exactly clover." Carrow grinned and the moonlight glistened off his white teeth, “Got it covered.” Walking over to the area that Alexander had pointed to Carrows pointed dog shaped nose huffed at the ground. The smells of the forest floor was musky and had an earthy grit to it, he smelled many things; grass, mud, mint and possibly the scent trail of a rabbit. He had walked a good ways away from the searching prince; his nose was also to the ground hunting. Carrow watched him for a moment, admiring the thick frame of the wolf. Grinding his teeth he frowned for a small second as jealousy then regret washed over him; it was not Alexander’s fault he was what he was. The said prince moved slowly, strong wild body on a mission. Snapping his eyes open, he looked down at the ground he was standing on, “Clovers over here!” Alexander said they looked like clover. That they smelled odd. Inhaling Carrows nose twitched as the faint rank scent of mold wafted into him. He waited and looked excited, these may be the ones they were looking for. Carrow’s tail wagged as he watched as he gained Alexanders attention. Alexander turned and beamed at the wolfdog as he spoke, tail wagging and nodding excitedly. "You heard right," he said with a wink, "this pack accepts any and all kinds of creature. So long as you are pure of heart and come seeking a home where you know you belong; Nardir is the place. I have learned that recently." He gave Carrow another little wink before plodding off to go look in the fields for their intended mission. And for Alexander, it turned out that his patches were nothing but duds. Each time his nose lowered to sniff the herbs and weeds growing in the ground, he found himself coming up short. 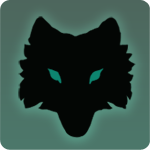 The boy hummed in frustration as he muddled through in the moonlight, looking up occasionally to see if his new found friend and soon to hopefully be pack mate Carrow had found anything. What the prince would soon discover was that he was not to be disappointed. 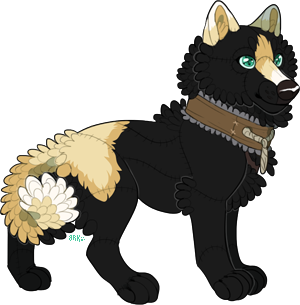 The prince turned on a heel, bounding towards the wolfdog with excitement and curiosity as his nose shoved down in to the clovers before recoiling and smiling widely. "Wonderful! Perfect! You've done it!" he exclaimed happily as he looked at Carrow. "We can gather all of this and head over towards the Castle." He gave a wide smile as he looked up at the sky, tail still wagging happily. "I will drop you off to visit with our Queen while I go and deliver these to the head healers of Nardir." His head swung to look over at Carrow, his entire sona beaming with excitement and happiness. "Don't be worried. The three of us share more than you would believe." He chuckled, lowering his head down and grabbing as many herbs as he could from the ground, setting them between his front paws and smiling. This would definitely be more than enough for Hakan to work with. The prince inhaled as he stared at the herbs before turning his attention back to Carrow. With that, the prince picked up his share of the herbs and headed off towards the castle to introduce the wolfdog to the Queen. When the pair would arrive, he would set the herbs down on the landing to Mercury's den and sit down for a moment, turning to Carrow with a smirk. "Do not worry," he hummed as he turned and rose to all fours, "I will be right back." Alexander would dip his head in to the mouth of the den, eager to see how proud Mercury would be at his bringing a new soul in to the folds of Nardir; especially one who seemed more than capable of doing a good job. "My Queen," he rumbled in to the mouth of the den, "do you have a moment?" Alexander would find his sister rummaging through her things, reorganizing a few items into a new basket she had recently acquired from Shimmah. The girl was perfecting her craft at prodigal speed, and the pack had greatly benefited from her creativity. Merc hadn't shown her a shell candle yet, but she was contemplating surprising Shimmah with one as a gift. She'd speak to Burdock to see if he had any shells from the coast. This, along with several other small step plans, were on her mind as she had a few moments this evening to herself. Keeping her den organized was a bug she'd picked up from somewhere. "My Queen, do you have a moment?" "Of course, Prince Alexander. What is it?"